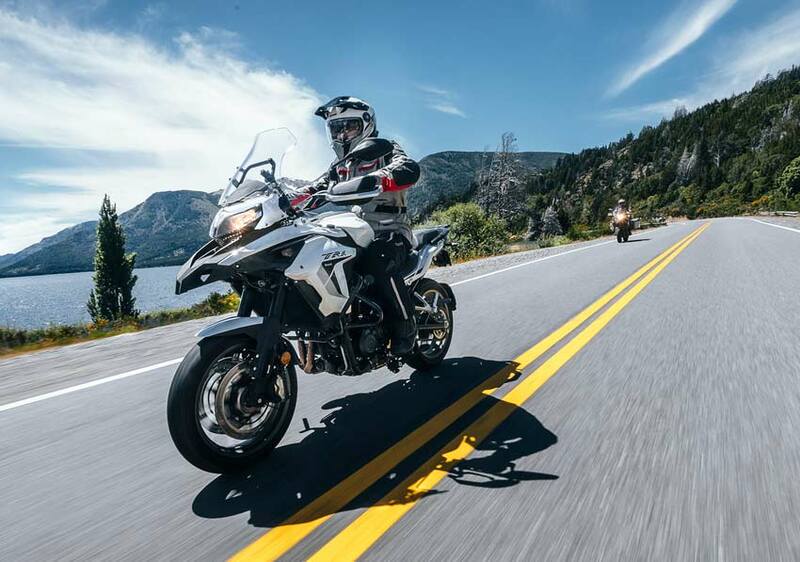 Benelli TRK 251 is your first travel companion, a motorcycle designed to accompany you on the adventure you've always dreamed of. 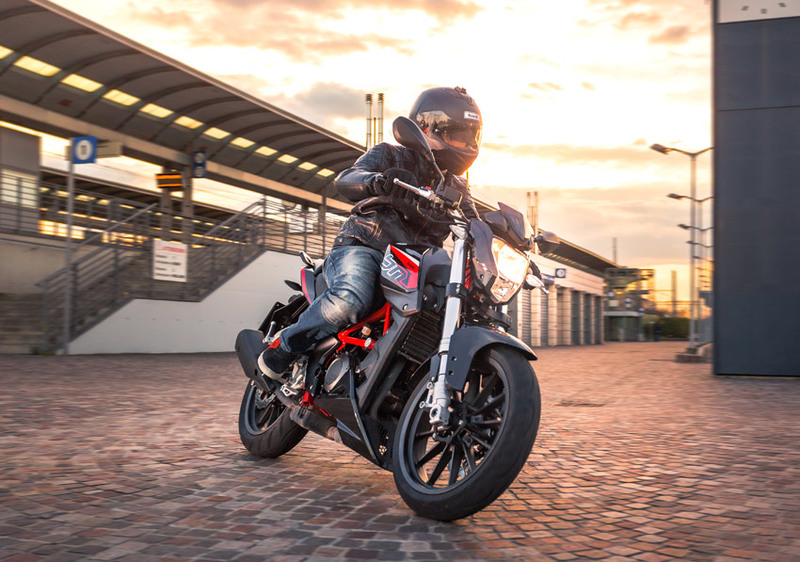 It is a motorcycle with easy and agile handling and a 250 cc beating heart capable of taking on even the most difficult routes without ever overwhelming even novice riders. In fact it is a 250 cc designed for even the youngest riders, and can be ridden with an Italian A2 licence. The single-cylinder, four-stroke engine is liquid cooled, with double overhead camshaft timing system and electronic fuel injection, just like on the renowned BN251. Its maximum power is 24.5 hp (18 kW) at 9000 rpm, with torque of 21 Nm (2.14 kgm) at 7500 rpm. TRK 251 features a braking system consisting of a single floating 280 mm disc with 4-piston calliper on the front and 240 mm with single-piston calliper on the back that can guarantee maximum road safety. The 17" aluminium alloy rims mount a 110/70 tyre on the front and 150/60 at the rear. TRK 251 is offered in red, white and black and will be available from next spring. By the end of the year the 250 cc will be joined by the 125 cc version, the new TRK 125.